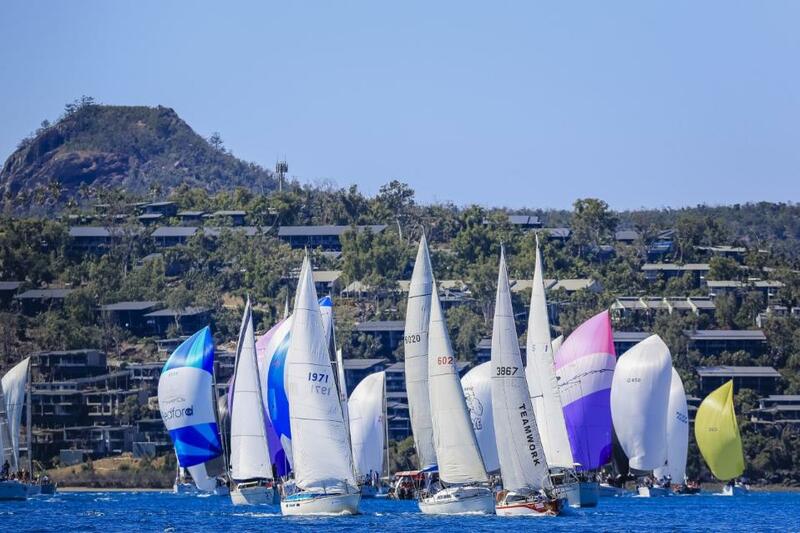 The Notice of Race has been posted and entries are open for the 36th edition of Australia’s largest and most spectacular offshore regatta, Hamilton Island Race Week. The much-acclaimed series, which high profile world championship winning sailors like Karl Kwok and Gavin Brady have declared to be the best in the world, will be staged from August 17 to 24, 2019. The reason for such an accolade is simple: Hamilton Island Race Week combines superb tradewind sailing and an unsurpassed social agenda. And, it’s all based out of an internationally acclaimed tropical resort which sits as the centrepiece of 74 islands, 68 of which are uninhabited. The foundation for Race Week is so unique that it draws an amazing cross-section of yachts from all over Australia and overseas; everything from tiny trailables that are towed thousands of kilometres to compete, to the full spectrum of racing and cruising monohulls and multihulls, plus supermaxis and superyachts. Also, there is good news from Race Week’s race director Denis Thompson for all competing yacht owners: the entry fee across the eight divisions is the same as the 2018 regatta. Apart from the excitement of racing on courses that take the fleet around the myriad of islands in the Whitsundays, the scheduled layday mid-week provides the crews, their families and friends with the opportunity to kick up the heels at the big Summer Bright Pool Party or enjoy fine dining and champagne at the Charles Heidsieck Luncheon at qualia, the island’s six star resort. There’s the option to play a round of golf on the amazingly scenic 18-hole course, do a day-cruise around the islands, or simply relax and watch the sunset from the Bommie Deck at Hamilton Island Yacht Club. Special accommodation packages are available now. The options include everything from 3 star to 6-star hotels as well as a range of self-catering holiday homes, which are a great option for crews. Book now www.hamiltonisland.com.au/sports-events/hamilton-island-race-week/hot-deals and get your pick of the houses available over these popular dates. Hamilton Island Race Week has an impressive history. It was established as a consequence of Australia’s historic victory in the America’s Cup in Newport, Rhode Island, in 1983. The inaugural regatta, staged in April 1984, attracted an outstanding fleet of 92 yachts drawn from all points across Australia, including Perth. The largest Race Week fleet to date was 252 in 2016. • Hamilton Island Race Week caters for the full spectrum of yachts: from trailables to supermaxis, cruising yachts and charter boats, monohulls and multihulls.